I contacted Jared of Simply Light Designs back in July 2013, after stumbling across his website and seeing his cat-cut hammock. I am eager to test out innovations in hammock camping and am grateful to Jared who was willing to send me a sample to review. After spending several nights with this hammock, I’m finally prepared to give a review! 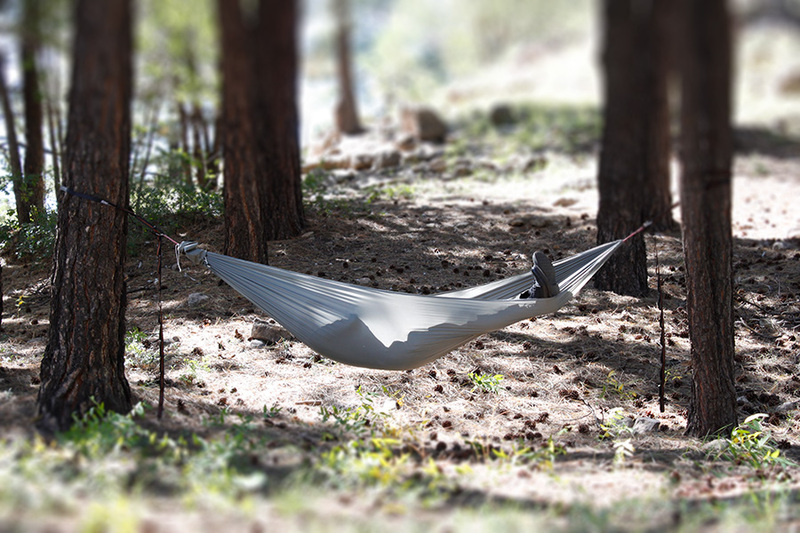 The Streamliner SL hammock begins as you might expect every gathered-end hammock does, with a basic rectangular shape. For anyone who has spent time in an open, gathered-end hammock, one thing of note is the “floppy side” syndrome where the extra fabric from the long edges isn’t taut. This isn’t really a feature or annoyance for most people, but that “excess” fabric for some people equates to “excess weight” and an opportunity to shave ounces and grams. The Streamliner removes this extra, unused fabric by adding a catenary curve to the edges. This simple technique does an amazing job of smoothing out the hammock as well as reducing the overall weight. In addition to the cat-cuts on the long edges, Jared also added a slight curve to the short edges, on the channel, where the hammock is gathered together. Not only does this further tighten up the long sides of the hammock, but it also lengthens the center slightly, which softens or eliminates the calf ridge common with gathered-end hammocks. In my own testing, I found the Streamliner to be very comfortable to lay in. I have plenty of room around my shoulders so there is no lateral squeeze. The foot end is nicely rounded and I have enough width to get a good diagonal. The cat cut reduces the middle width to a mere 4 ft (122 cm), but this didn’t affect the lay or my ability to twist, turn, or lay on my side. The 1.6 oz fabric feels more firm than the 1.1 oz (less stretch), which is a plus for me. My first take on the fabric was that it had a very soft touch. After several stuffing sessions, the fabric is much more wrinkled now, but it still retains a good feel. There is a noticeable difference in the lay with regards to the infamous “calf ridge.” The cat cut on the short ends softens the ridge considerably to where I don’t notice it, making the 10 ft (3 m) hammock feel more like an 11 ft (3.3 m) hammock. 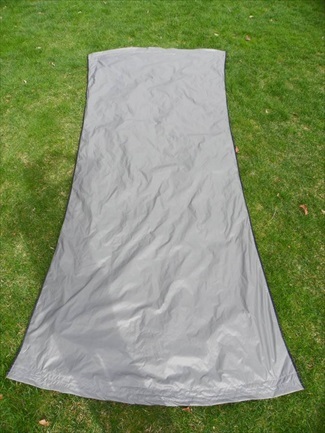 For a camping hammock, lightweight backpackers will note the weight first off. When I received the Streamliner, it came folded in a double-sided stuff sack but didn’t have any suspension (Jared and I agreed this was fine since I would likely change the suspension anyway). You can order both webbing straps and/or Amsteel Whoopie slings on the order form, or skip them all together. I added 7/64 Amsteel continuous loops on each end, which is my preference, to get the hammock hang-ready. 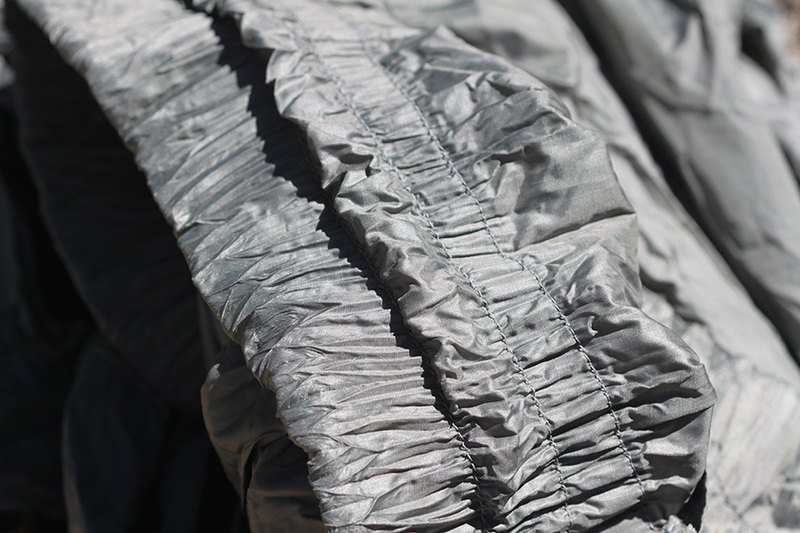 With the continuous loops, the Streamliner weighed only 8.5 oz (242 g) for the 1.6 oz ripstop nylon (10 ft/3 m size). 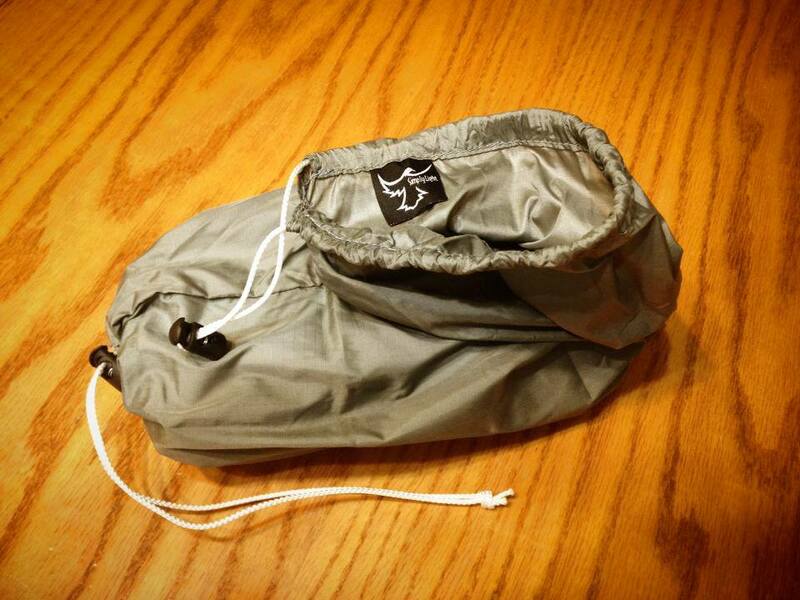 The stuff sack adds 13 g.
On the lightest end is the 1.1 oz ripstop nylon listed at 6.25 oz (177 g). This is right in the ballpark for all the hammocks in the lightweight range. The real challenge, and clear omission for all-season use, is bug protection. You’ll have to buy an after-market bug net as well as treat the fabric with Permethrin for full protection. On the less desirable side, the cat cuts make it very difficult to sit in the hammock or lounge with your legs out because the taut scooped sides maintain a “bucket set” configuration. I cannot fold the edge of the hammock inward, like I can on rectangular hammocks, to eliminate the bucket seat and sit flat; the cat-cut edges prevent this feature. 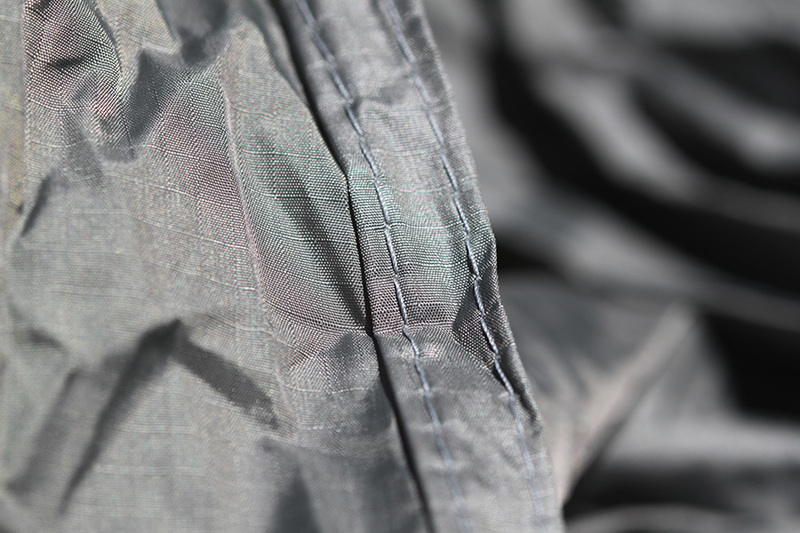 Overall, the construction has a good quality with a nice rolled hem that has been double stitched. There were a few sewing irregularities on the end channels, which are typically not noticed. The Streamliner is definitely a “keeper” in terms of pack size and weight for lightweight backpacking trips. The catenary curves reduce the calf strain on a 10 ft (3 m) long hammock in the same way an 11 ft (3.3 m) “regular” hammock does, but for less weight. I’m seriously considering sewing on a zippered bug net and adding a ridge line as I feel that would simplify the hammock and make it trail ready all the time. The price makes this a very attractive option for almost any hammock camper. However, I wouldn’t recommend this hammock to just anyone. The lighter weight fabric is ideal for those looking to cut some weight off their pack while still enjoying a comfortable lay. Heavier hangers will need to order the double layer options. By design, this manufacturer is targeting lightweight connoisseurs, but I do think there will be some hangers who would enjoy the reduced weight, soft calf ridge, and taut cat-cut sides. These hammocks are not good to roughhouse in. 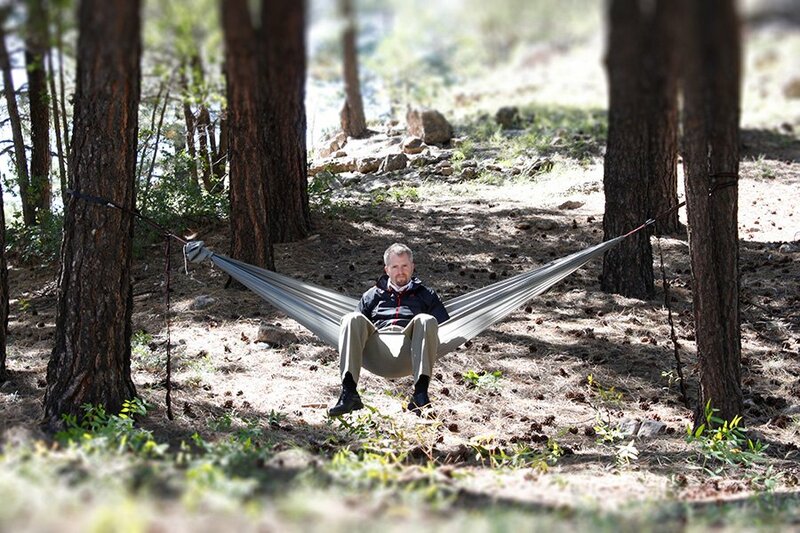 However, if you are looking to hit the trail and pack in the miles, this is a great hammock for you. Folks looking for an all-around lounger should skip this hammock. The cat curves make it difficult and slightly uncomfortable to use the hammock in different configurations besides just sleeping and laying down. I like the feature that it is lightweight. Whether on a short or long hike, am always concerned about the weight I carry..
ordering a Streamliner soon. I have cat cut hammock tarp which is excellent so the idea of hammock itself cat cut is a logical and good one. The question is, how deep should the side scoops be? I need to be able to see out right and left while in hammock. This is the only good aspect of the floppy sides of hammocks like Hennessey, besides usability as a chair which though nice, I rarely use. Perhaps a longer than absolutely necessary length for cat cut hammock would help with this? I agree a ridge line is essential too, that was a Hennessey invention. Maybe making this adjustable would help adjust side height to maintain side visibility, have to try it .The backpacking hammock evolution continues and I’m glad to help out the cottage industry folks who are the innovators.